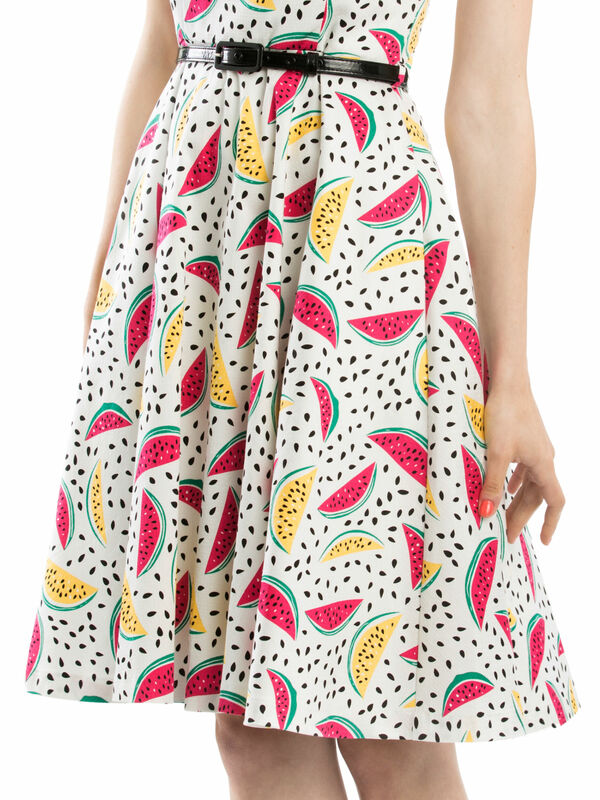 Watermelon Dress https://www.review-australia.com/global/watermelon-dress-multi/RE19DR258.RECRM010.html Take a tutti frutti twist into party season with the gorgeous Watermelon Dress. 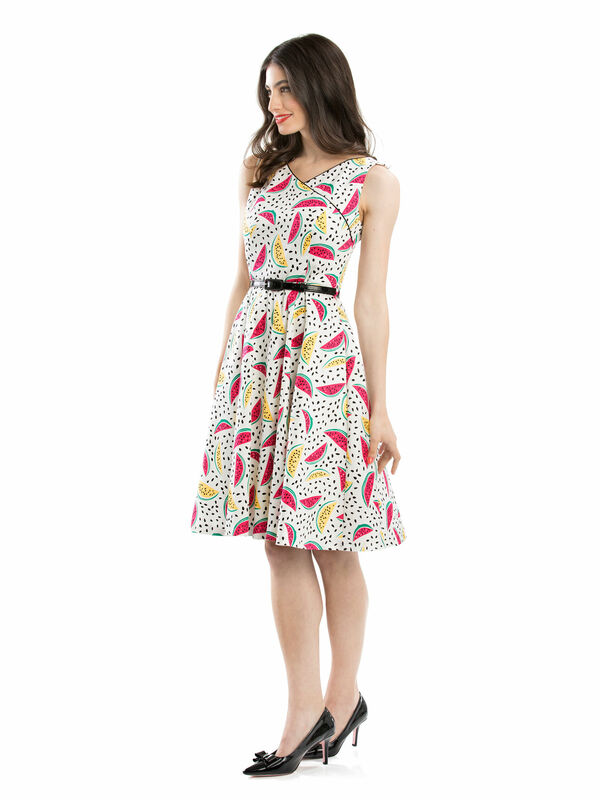 A fit and flare favourite, this watermelon print dress adds a modern vintage feel to your collection. 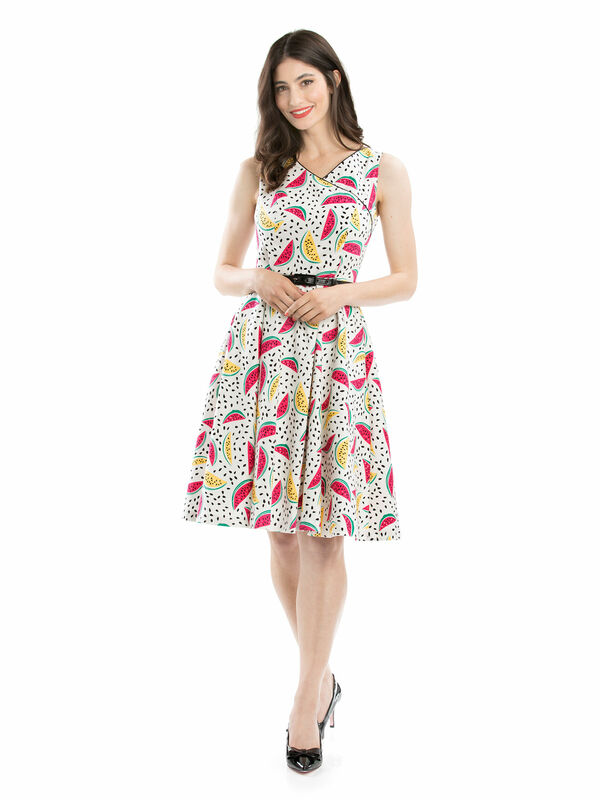 The playful style sports a full skirt and black contrast piping. A removable patent belt cinches at the waist while a cross-over effect neckline adds interest at the bodice.